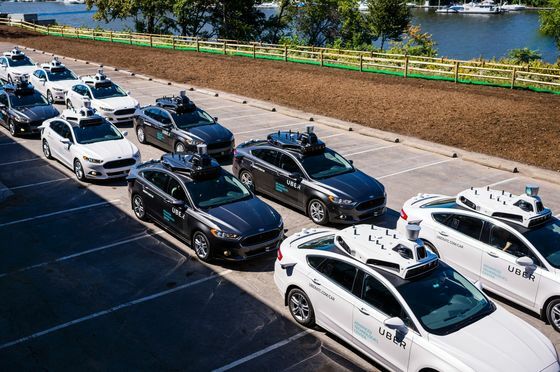 (Bloomberg) -- Uber Technologies Inc., the current era’s archetypal startup, moved toward becoming a public company Thursday, revealing that it racked up a $3 billion operating loss last year and hoping potential investors will look beyond that. 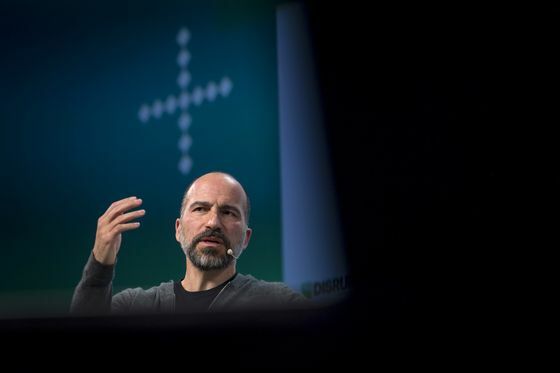 Khosrowshahi, who quit his CEO job at Expedia Group Inc. to join Uber, is pitching the ride-hailing giant as an interconnected web of promising businesses. 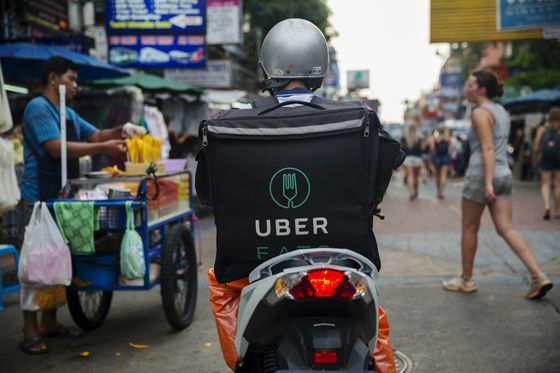 Most notably, Uber’s food-delivery business grew 149 percent year-on-year to $1.5 billion in revenue in 2018. 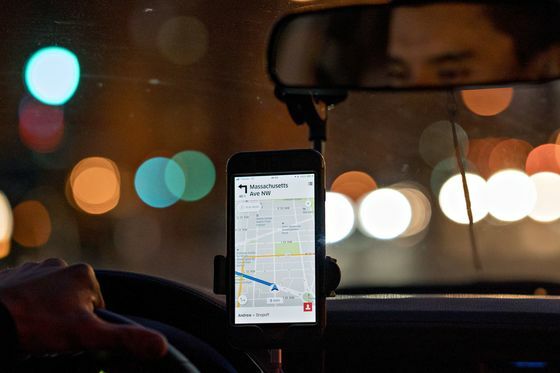 “Some of the attributes that made Uber a wildly successful startup -- a fierce sense of entrepreneurialism, our willingness to take risks that others might not, and that famous Uber hustle -- led to missteps along the way,” Khosrowshahi said in his letter. 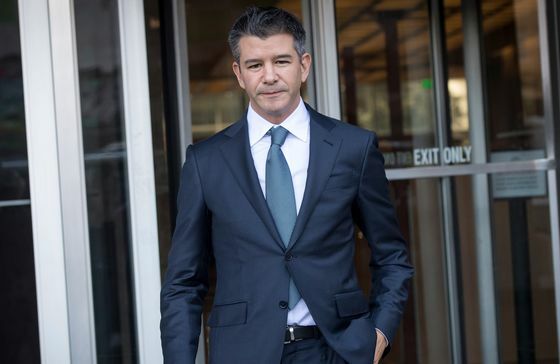 Nonetheless, Kalanick remains on Uber’s board with an 8.6 percent ownership stake, according to the filing. Uber’s biggest challenge in its IPO, in which it seeks to raise about $10 billion, according to people familiar with its plans, may be simultaneously explaining to investors why the company is immature enough to justify losing billions of dollars, while proving it’s mature enough to be a publicly traded company worth somewhere in the range of $100 billion. Its solution is to cast itself as a still-fledgling character in the broader transportation landscape. Uber is just at the very beginning, it argues, asserting that its share of the entire global transportation business is less than 1 percent. Uber’s filing follows rival Lyft Inc.’s $2.34 billion listing in March, which is the biggest U.S. IPO so far this year. Pinterest Inc. and Zoom Video Communications Inc. are set to price their IPOs next week. Other high-profile companies considering going public include Slack Technologies Inc., Postmates Inc., Palantir Technologies Inc. and Airbnb Inc.
Uber lost $3.04 billion on an operating basis in 2018 on revenue of $11.3 billion, bringing total operating losses over the past three years to more than $10 billion, Thursday’s filing shows. Uber’s reliance on ride-sharing for the vast majority of its revenue is evident from its filing. In the fourth quarter, the company generated $2.54 billion in adjusted net revenue, with $2.31 billion of that coming from ride sharing. Only $165 million in adjusted net revenue came from Uber Eats. Uber filed with an initial offering amount of $1 billion, typically a placeholder amount used to calculate fees that will change. The company applied to list on the New York Stock Exchange under the ticker UBER. Morgan Stanley and Goldman Sachs Group Inc. are leading the offering. The growth of Uber Eats, from about $100 million in revenue to about $1.5 billion over three years, is particularly exciting, he said. Lyft’s performance since its March debut may signal caution to some investors. Lyft, which operates in the U.S. and Canada, increased the size of its share sale, and then priced its shares at $72 each, at the top of an elevated range. The stock then leaped 21 percent at the opening bell, only to sink since then, closing at $61.01 on Thursday.